The Vortex communicates wirelessly via ANT+ and Bluetooth Smart for convenient training sessions using your smartphone or tablet. Performance data can be viewed on several devices simultaneously, including your smartphone, bike computer and sports watch. 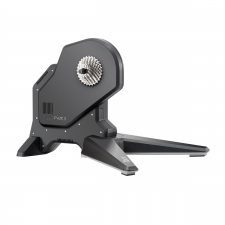 When the Vortex Smart isn't connected to a smartphone, tablet or computer, it behaves as a fluid trainer. This means the trainer behaves progressively: when your speed increases, the resistance increases as well. 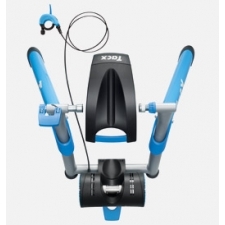 So it is possible to use this trainer in a "stand-alone" status. 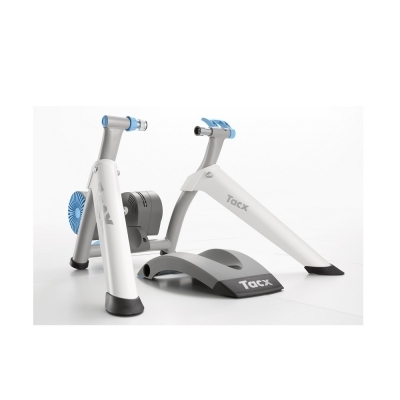 Software: Tacx apps & Third party apps. PC software via upgrade. Instead of your tablet or smartphone, your computer is used to regulate your resistance and read out your performance data. For example, the computer software offers longer videos in HD or Blu-Ray quality. While riding, the resistance on your rear wheel automatically changes when the slope increases or decreases. 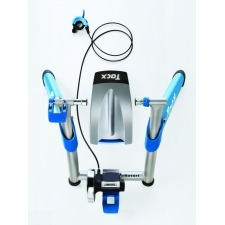 Buy your Tacx Vortex Smart Interactive Trainer (with electric motor brake) from Revel Outdoors.